Who qualifies as a dependent on a medical aid scheme? Having a medical aid is a necessity, especially if you have a family who depends on you to be healthy and able-bodied. However, many of us have a family member who we would like to add to our medical aid. These include spouses, children or elderly parents. Outlined below is a list of who qualifies as a dependent on a medical aid scheme. Your spouse or life partner can easily become a dependent on your medical aid scheme. The medical aids define a spouse as a person ‘who the member is married to in terms of any law or custom, including Civil Union’. You may have to provide proof that the dependent is your spouse. That means sending in your marriage certificate along with the application to add your spouse or life partner. It is important to remember that should you divorce, the rights of your spouse to be included on your medical aid will be immediately revoked unless the divorce agreement stipulates that you are financially responsible for their care. Children under the age of 21 years-of-age qualify for being added as dependents. When you ask the question, “How much is medical aid per month?”, an important aspect to consider is what age your medical aid scheme considers your children to be adults. Most medical aid schemes will classify your child as an adult at the age of 21. In that case you may have to prove that the child is still dependent on you. You can do this by providing proof of studying. That will allow them to remain on your medical aid scheme for longer, possibly up to the age of 27. Many medical aid schemes in South Africa take youth unemployment into account and offer some leeway to unemployed adult children. Some medical aid schemes allow you to add dependents that are not your own biological children. However, that is provided that you are financially responsible for them. These children could be nieces and nephews left in your care after your sibling has passed or even god-children. You will have to provide paperwork in order for your medical aid to consider non-biological children as dependents. This must prove that you are financially responsible for their welfare or that you officially their guardian. The charges will most likely be the same for biological. Be sure to check what will happen when these children reach adulthood as considered by the medical aid scheme. Provided your elderly parents are not working, they will qualify as a dependent. Your parents-in-law will only be eligible if you can prove that you are financially responsible for them. In addition, the medical aid will regard them as ‘special dependents’, which could incur higher monthly payments. Medical schemes regard elderly parents as adults despite their ‘special dependents’ status. Therefore you will have to pay the full adult rates for them. They may visit doctors and receive treatment in hospital for emergencies. However you will be paying higher rates each month to cater for this. That depends on the structure of your medical aid plan. 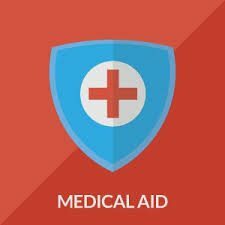 Adding a sibling to your medical aid can be difficult, as many medical aid schemes do not see them as dependents. If you can prove that your sibling is financially dependent on you or that they are in your care, you will be able to add them to your medical aid. If your siblings are also adults you will have to pay adult rates for them, but if they are children or under 21 then you will pay lower rates. Your siblings will be seen as ‘special dependents’ by your medical aid, but remember that each medical aid scheme has different rules so be sure to check what yours are regarding siblings. Unfortunately, your grandparents are not considered ‘special dependents’ and so you are not usually able to add them to your medical aid as an adult dependent. This could be due to their age or their current health, the reasons vary according to each medical aid. If you are able to provide evidence that your grandparents are financially dependent on you or rely on you for their healthcare, you may be able to add them as an adult dependent but you are not eligible to pay the rates of ‘special dependents’ for them. If you are uncertain of the rules that your medical aid scheme applies to grandparents, send in an inquiry or phone them directly for advice. Adding dependents onto your medical aid can be confusing and difficult, but if you are able to provide the proof that each person you would like to add is financially dependent on you, the process will become much easier. Adding your spouse and children on as dependents will give you more peace of mind that should they be involved in an accident or become unwell, you are able to provide the care they need to become healthy again.